I love writing and I post about things that I believe in. I am located in the south of Quezon City. If your event invite is within Cubao, Katipunan, Marikina, Trinoma, Ortigas or Eastwood city then I will most likely accept. If you are located elsewhere, please drop me a line I might consider it too, as long as the brand and advocacy is worth it and the date fits my career mommy schedule. I love writing about products, baby and parenting topics, books and lifestyle topics, it doesn't show, but I am very tech savvy and I actually work as a trainer who supports a very popular software company. I also share stories about my personal feelings, in the hope that you will relate too. I write for the career mum who wishes to make the most out of her life by being able to use and purchase good quality products, visiting places which will give value for money and the mum who wants to relax from time to time by sharing heart felt stories. 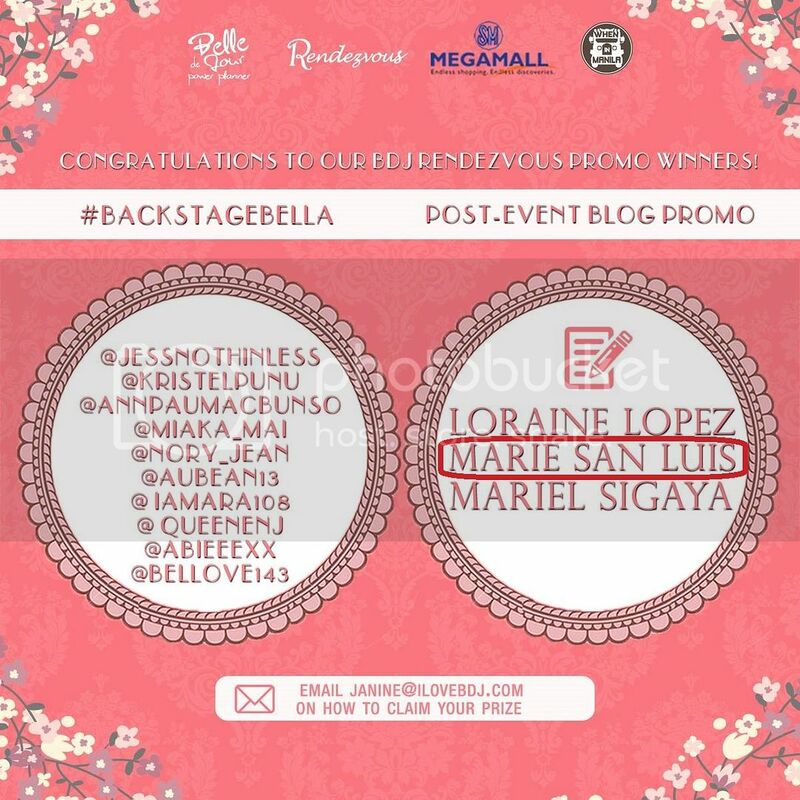 Winner BDJ Rendezvous: A Woman Who Matters - Post event Blog Promo. 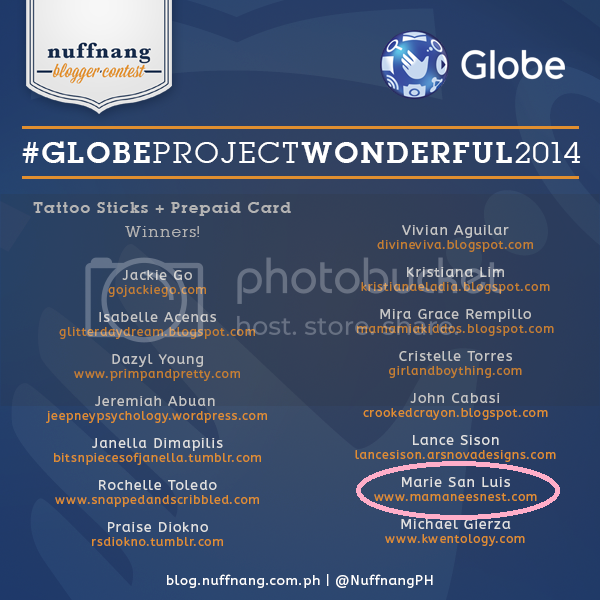 Next best Top 15 posts for the Nuffnang contest: #GlobeProjectWonderful2014. Winning entry here: Globe Project Wonderful 2014: What would you give The Philippines as a gift? 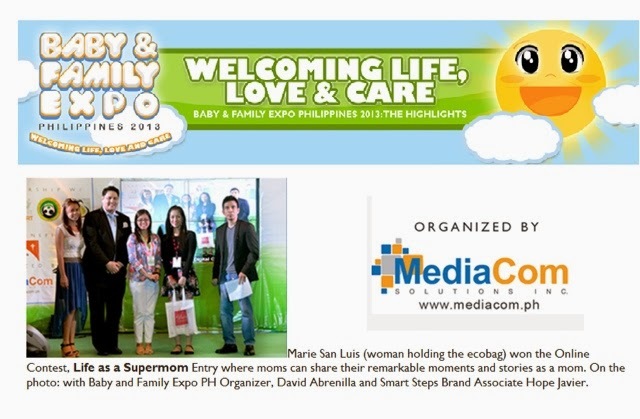 Post by Mrs. Philippines-Globe 2012.